I often get asked if I have watched a popular TV or Cable show. My short answer is usually no, I only have Internet access in my home and I stream all of my visual entertainment. Well in this article I am going to reveal my media environment which consist of five applications that I will briefly list below. First I want to acknowledge +Noore Ghunaym who supplied technical information on setting this entertainment environment up and my wife +Sylvia Wormley for the inspiration to use technology for fun. The first tier of this system is good old Usenet. 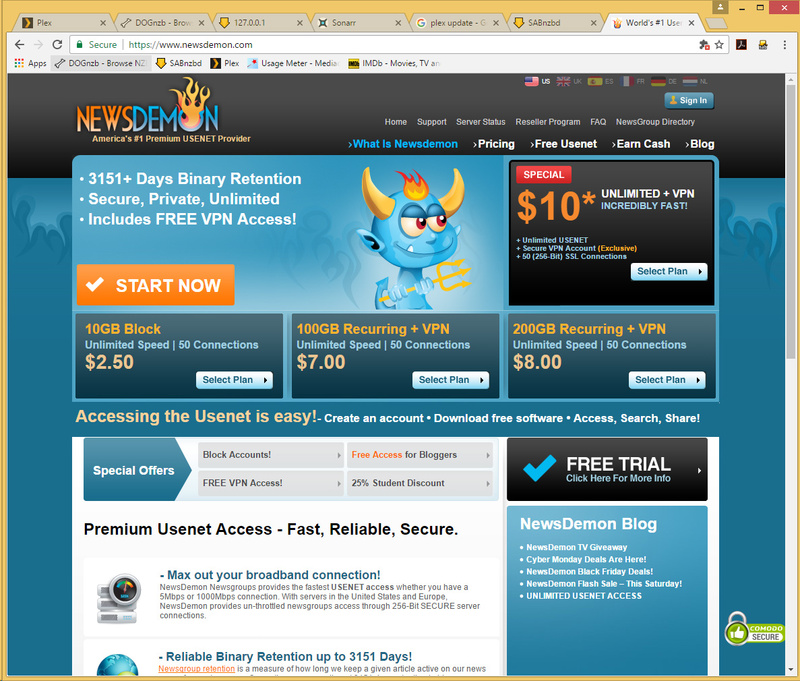 I am using NewsDemon. If you have been on the Internet before web browsers then you know what Usenet is. If you do not know, click here. After getting an account on a Usenet provider I had to get an account on an on a Usenet Indexer. I am using DOGnzb. If you do not know what a Usenet Indexer is, click here. 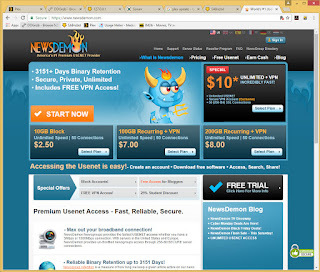 After getting a Usenet Indexer I needed to get binary news reader. I am using SABnzbd. After you get tired of manually searching for TV shows and movies I wanted to get automation. 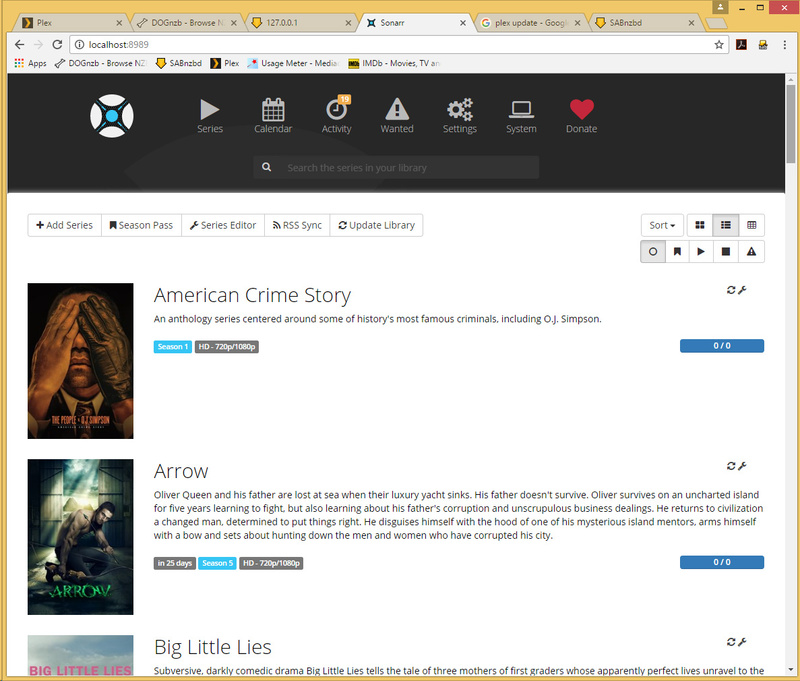 Sonarr is what I use. If you want to know what Sonarr is, click here. At last here is the final piece of the system, Plex. 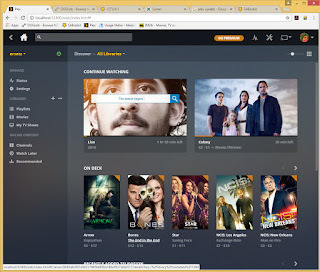 The Plex server allows you to stream the files to your TV or mobile device. It took me a while to get this all set up and working. I had Usenet, DOGnzb, SABnzbd and Plex set up right off the bat. 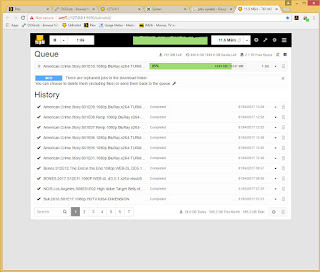 Getting Sonarr automation working was where I really needed to concentrate. 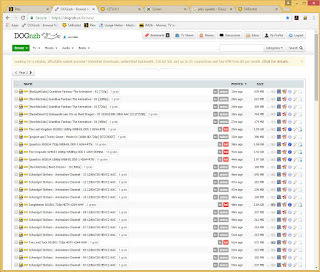 Overall there was about three months of just fiddling around each morning for about 20 minutes trying to get Sonarr working. 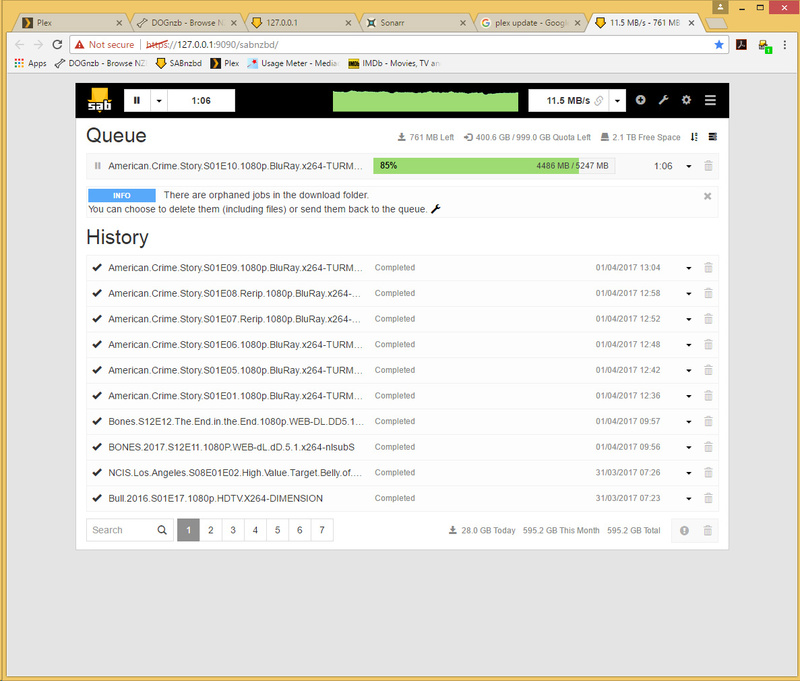 Today I woke up around 6:45 AM and I decided that I would not get side tracked and I have everything configured correctly. 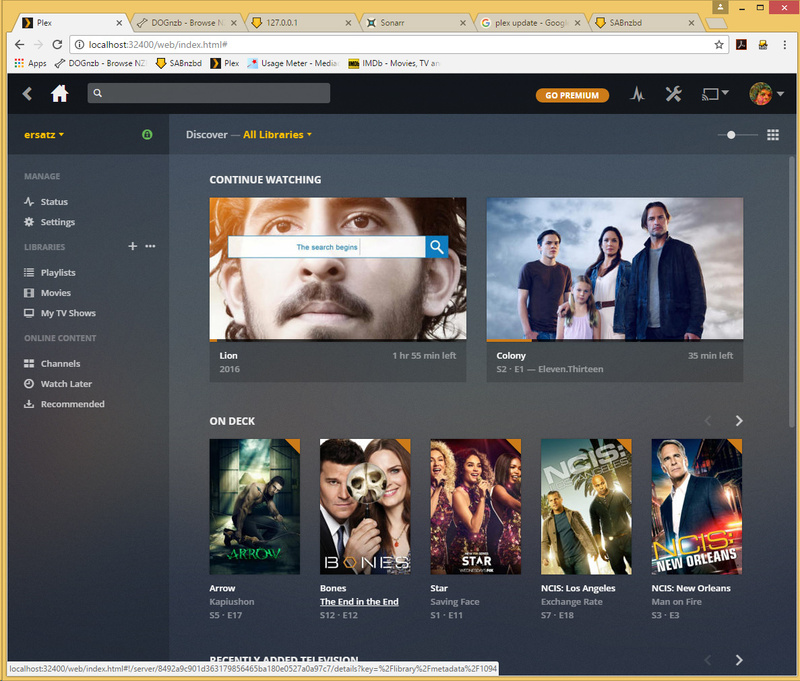 Now All I have to do is add a show to Sonarr and it will download automatically and add it to my Plex server.